Obituary for Michael J. Ferrara | Seamon-Wilsey Funeral Home, Inc.
SAUGERTIES… Michael J. Ferrara, 56, of Manorville Road died Saturday, March 23, 2019 at the Kingston Hospital. Born September 22, 1962 in Kingston he was the son of Alfonse and Joan Hommel Ferrara. A lifetime area resident he was employed by the Town of Saugerties as a truck driver. Mike loved the outdoors, whether it was hunting, fishing, camping or tending to his vegetable garden, being outside in the Catskill Mountains brought his a tremendous amount of joy. Besides his parents of Saugerties, survivors include his dear companion, Melissa, a Sister, Debbie Sperl, a Son, Michael and a Daughter, Sarah. 3 Grandchildren also survive. His Funeral Service was held privately. 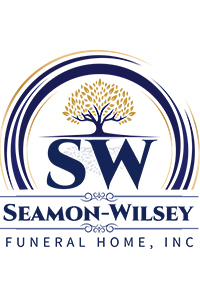 Arrangements are under the direction of the Seamon-Wilsey Funeral Home, Inc. Cor. of John & Lafayette Sts., Saugerties. Expressions of condolence may be shared with his family on Mike’s Tribute Wall @SeamonWilseyFuneralHome.